From Cabela’s to Wal-Mart guns will be on sale everywhere on Black Friday, and what better time is there to load up on a firearm? The manic shopping frenzy lands right before Christmas and right in the midst of deer hunting season. With the expected increase in gun sales the Federal Bureau of Investigation is gearing up for a dense wave of background check requests. 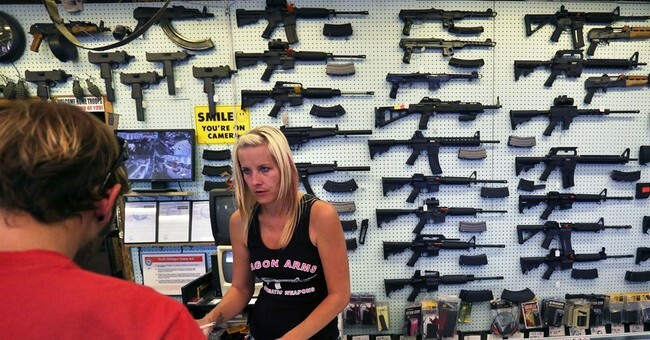 There are more than 48,000 gun retailers in the U.S., according to the Associated Press. For every sale, cashiers must call in a check to the FBI or to other approved agency to insure that the customer does not have a criminal record. When the National Instant Criminal Background Check System, was implemented in 1998, the FBI oversaw around 9 million checks. Last year that number inflated to more than 21 million. “This Friday opens the busiest season for gun purchases, when requests for background checks speed up to nearly two a second, testing the limits of the National Instant Criminal Background Check System, or NICS…. Seventy-one percent of background checks last year were instantly approved. According to Federal Law, a customer is disqualified from purchasing a gun if he/she is: underage, an illegal alien, a documented drug addict, a convicted felon, a fugitive from justice, underage, mentally ill, dishonorably discharged from the military, has renounced their U.S. citizenship, is subject to a court restraining order, or has a history of domestic violence.